Department of Mechanical Engineering and Division of Biomedical Engineering, College of Engineering, University of Saskatchewan, Saskatoon, SK, Canada. Vascularization plays a crucial role in supplying oxygen and nutrients to cells and removing metabolites in living bodies. As such, the creation of vascular networks is essential for the tissue engineered grafts or scaffolds, particularly for repairing/replacing thick and large tissues/organs, for example, hearts, because the cells can only survive if within 100-200 μm of the nearest vasculature. Considerable and encouraging progress has been making in the development, strategies, and applications of tissue engineered vascular grafts. 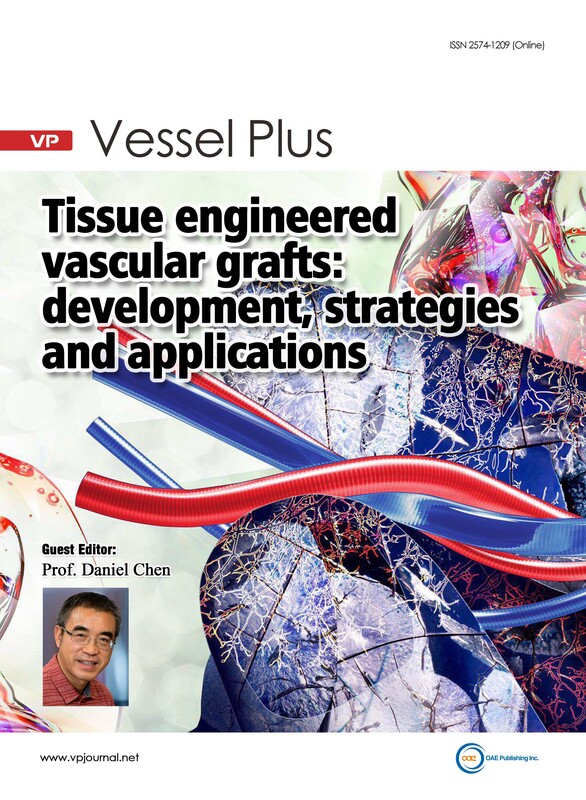 This Special Issue aims at providing a platform to survey and report the recent development and advance in this field, which may include, but is not limited to, discovery of blood vessel formation (angiogenesis and vasculogenesis), design/fabrication/characterization (both in vitro and in vivo) of vascular networks within grafts, applications of vascular grafts in tissue engineering and regeneration medicine.